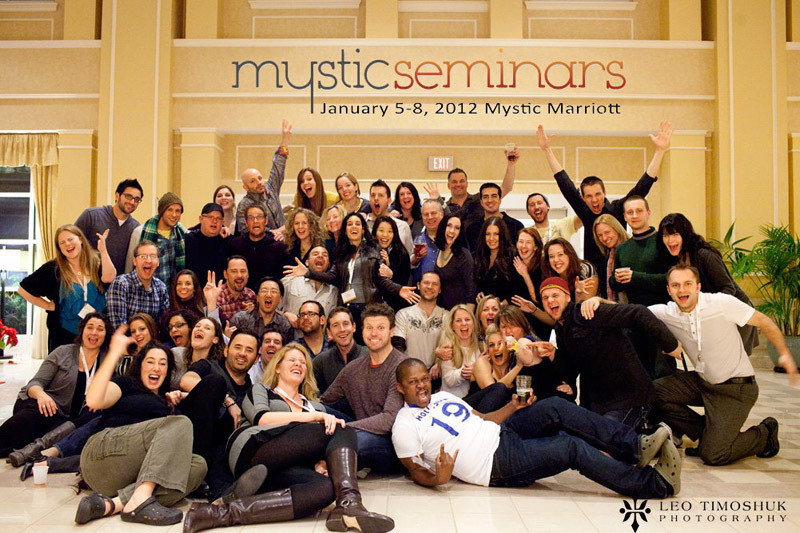 I just got back from the Mystic 2012 Photography Seminar. First, a big thanks to Walter van Dusen for founding and organizing such a wonderful and interesting conference. I love attending Mystic. Besides connecting with friends and having fun, it serves an important purpose to stoke the passion for what I do in wedding photography. It is easy to develop ingrained habits which can limit artistic growth or sap creativity. So, Mystic helps me to break with the old conventions and open my mind to explore new ideas and concepts. There were important lessons to be learned about photography and business and how to challenge myself to continually take my work to the next level artistically and professionally. I was inspired and educated by amazing speakers and really enjoyed listening to great photographers including Ben & Erin Chrisman, Joe Buissink, Michael Greenberg, Tony Corbell, Dave & Quin Cheung, Fer Juaristi, David Josue, Daniel Aguilar, and Rafa Ibanez. I’m looking forward to next year!